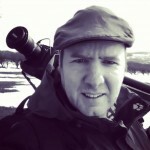 I’m a landscape photographer spending time in both Cheshire and the English Lake District. I’ve made video games for 30 years but these days, as a relative latecomer to photography, I’m never happier than when in the landscape and being creative using my camera. In May 2017 I launched my first book, Healing, with foreword by Joe Cornish. Healing is my portrayal of how stories of an invasive past have become interwoven with those of the present. This collection brings together images taken over three years at Thirlmere and Holme Fell in the Lake District and at the enigmatically named Dead Lake, Delamere Forest in Cheshire. There are parallels between the theme of healing in the landscape and photography’s role following the health intervention in my own life. Outside of photography I love spending time in the Lake District with my family and three lunatic spaniels. Apr 2015 Patchings Art Centre, Pavilion Gallery, Connected exhibition. Apr 2014 Patchings Art Centre, Pavilion Gallery, Connected exhibition.